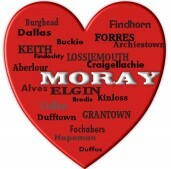 The European Pipe Band Championships come to Forres, Moray on June 28th. This is the second year that Forres has hosted the event and after an extremely successful championships last year, it is set to be even bigger and better in 2014. The event attracted over 15,000 visitors from all over the world and is one of the biggest one day events the area has been involved with. Grant Park proved to be a magnificent amphitheatre with praise being given from both visitors and competing pipe bands, as well as complements on the organisation of the event as a whole. Local businesses were encouraged to take part by show casing their crafts and the wonderful array of local produce available in the area and a fun fair was on the park to amuse the younger ones. With the added bonus of the sun shining it is an event not to be missed. The organisers are currently asking for businesses to register for stalls and a call has gone out for volunteers to help on the day. Tickets for the event will be available to purchase on the website in the near future.